ABOUT — Eclipse Tax & Accounting, Inc.
Our team of trusted professionals is ready to help your business thrive. Katy absolutely loves accounting and tax preparation, and thrives on being busy and learning new things. She prepares and/or reviews all the bookkeeping and tax preparation work performed by the staff at Eclipse Tax & Accounting. She is involved with multiple community boards and committees, and is dedicated to serving our community. Katy is a Flathead valley native and loves to enjoy all our beautiful state has to offer, particularly skiing and spending time at Flathead Lake. Outside of work her hobbies include reading, running, being creative and spending as much time as possible with her two kids, Kyler (11) and Adilyn (8). Terry is a CPA licensed in both Montana and Idaho state. He has over 30 years accounting experience with various business types, including retail, small businesses, contractors, non-profits and real estate. 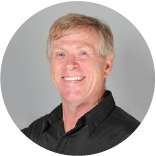 Terry also has over 15 years experience preparing individual, business and payroll taxes and 12 years of QuickBooks background. In his free time he enjoys being a small business owner and maintaining his Idaho/Montana Real Estate Broker License. Annie handles all aspects of intake of the work clients bring in, electronic filing of tax returns, and countless bookkeeping functions for our clients. She spent over 33 years working with the Social Security Administration and brings a very valuable wealth of knowledge to Eclipse Tax & Accounting. Outside of work she spends her time gardening, reading, and spending time with her three grandchildren. Jessica has been working in the accounting field for 15 years and received her bachelor’s degree in 2008. She is highly experienced in accounting, payroll, QuickBooks and has extensive past tax preparation experience as well. 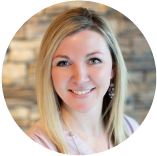 She loves helping business owners be successful by teaching them ways to better track and gauge their day-to-day activities in their business. Outside of work, Jessica loves to camp, craft and spend time with her family, including her husband and three children. Ron is a CPA licensed in both Montana and California. He graduated from the University of Montana and after spending a number years in California has now relocated back to Montana. He has over 45 years of experience working with CPA firms preparing Individual, S-Corp, Partnership, and Fiduciary tax returns. Ron spends his leisure time boating on Flathead Lake, golfing, and traveling. Terri has over 30 years of accounting and payroll experience and has worked for a broad spectrum of business types which include, architecture & engineering, restaurant & service industry, and manufacturing. After falling in love with the beauty of Montana, she moved to Whitefish in the fall of 2018. In her free time, she enjoys riding her horse Addie, and hiking. Sam is a 2015 graduate of Lasell College with her Bachelor of Science in both Accounting and Finance. She spent several tax seasons working in Boston, Massachusetts before moving to California’s Central Valley. After visiting Glacier National Park on vacation, Sam fell in love with the Flathead Valley and decided to make it her home. She is excited to enjoy all that “The Last Best Place” has to offer. Outside of work Sam spends her time hiking, skiing and traveling. If you are a small business owner like I am maybe you can relate to how my life used to be. I worked 12 hour days and spent weekends entering bills, paying bills, paying taxes, figuring out payroll, etc. That usually ate up 4 hours or more of either Saturday or Sunday and I’d often worry that I missed something. It was stressful and I was using my rare “free” time still working. That was my life for too long. Katy Croft had been my accountant for years and encouraged me to let her take some of that workload off my shoulders so my life could be better. Initially I was skeptical. I am a hands-on person that has difficulty trusting other people to do things I can do and I generally like to do things myself. Plus, I actually like crunching numbers and didn't want to feel totally out of control of my finances. But something had to change. I began by turning over payroll and all the associated expense responsibilities to her and immediately discovered that it saved me several hours per month (not to mention that I didn’t have to worry that I missed something). Over a period of a few months I began giving more and more to Eclipse. Now they takes care of all of my payroll including hosting Quickbooks (so I never have to worry about a losing my files), taxes, entering invoices, posting deposits, bank statements, bill paying, everything. Weekly I remotely access my Quickbooks file where I can see exactly where my books stand and pick and choose what bills to pay and contact them and it's done. What used to take me 4 hours per week literally takes me about 10 minutes. I'm in the fifth year of freedom from my books controlling my free time and I completely trust Eclipse and will continue to use them as long as I own a business.